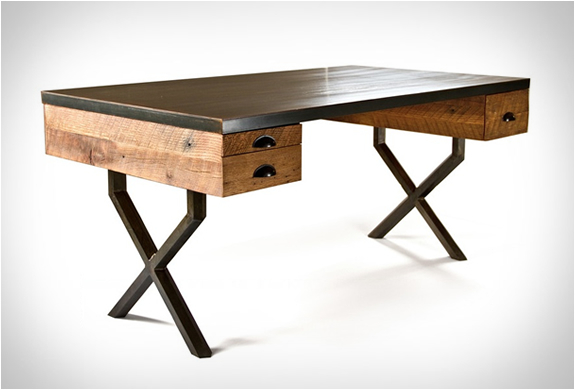 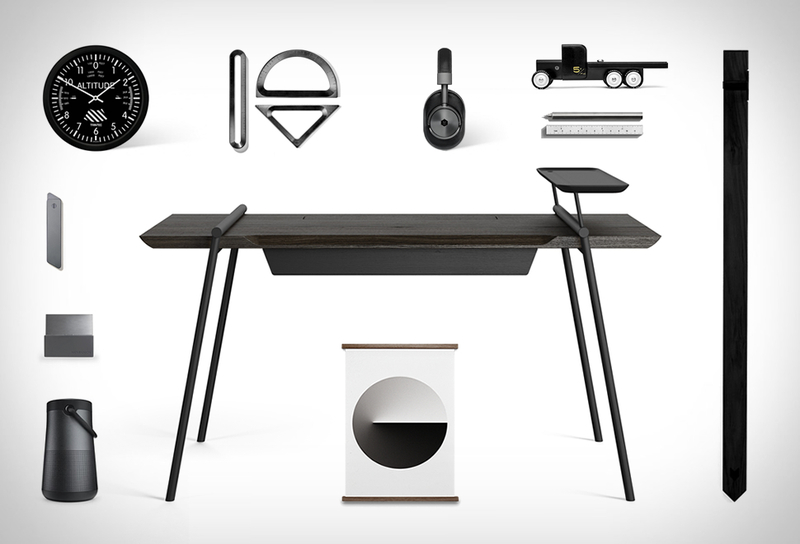 Work DesksWalter Desk is a beautiful merge of industrial and rustic styling. 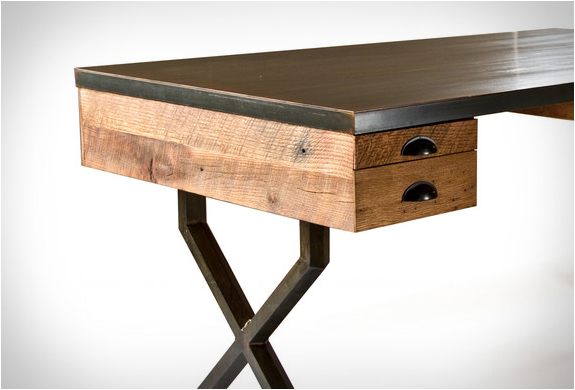 The stylish desk is made from reclaimed oak that is left unfinished, to expose the weathered grain and telltale marks of its former life. 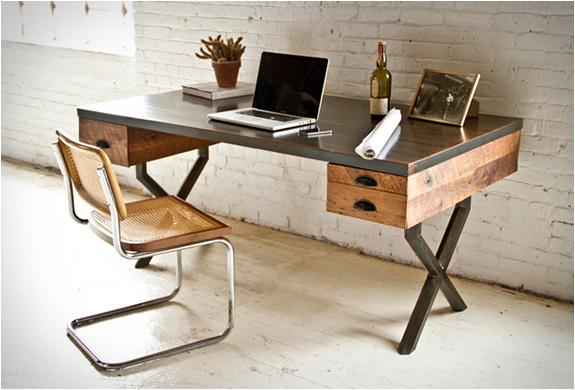 Handmade in Brooklyn, NY, by furniture designers Olga Guanabara, the desk features two strong, angular legs of criss-crossed hexagonal steel, and a broad surface of hot-rolled steel strong enough to withstand your heaviest workload. 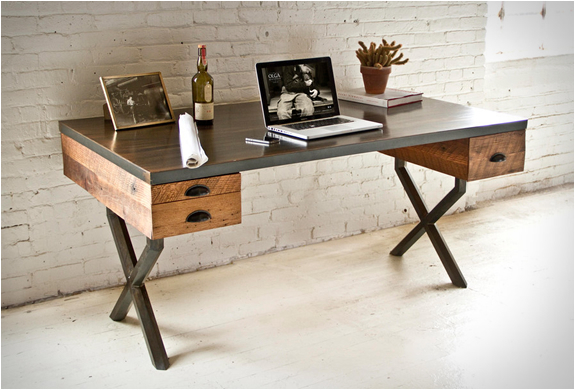 It includes three spacious storage drawers, crafted from humble, reclaimed oak.